So much Easter goodness is ahead of us! 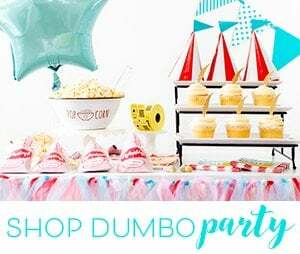 Today, I’m sharing fun ways to make it extra memorable for the little ones. 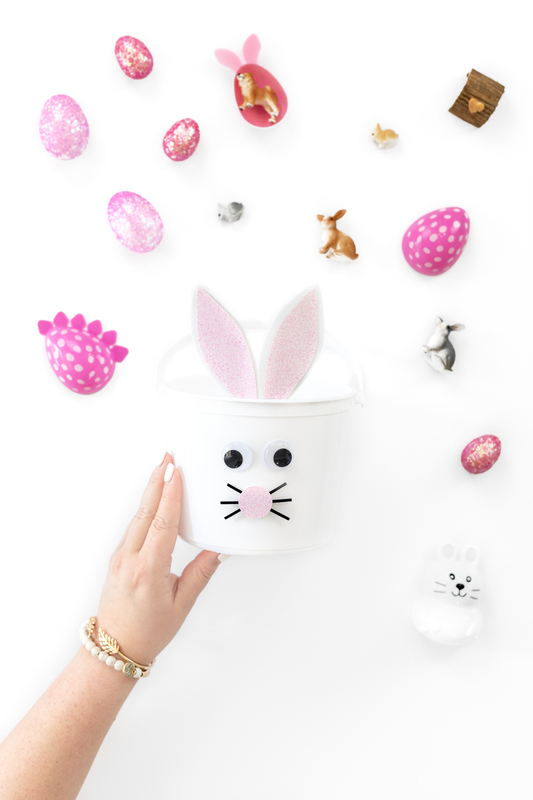 Enter this DIY Bunny Easter Basket and the cutest figures from Schleich. Their toy selection inspires creative play that will bring holiday joy to all of the animal lovers on your shopping list. This post is sponsored by Schleich, all opinions are my own. You know that I love a good DIY. 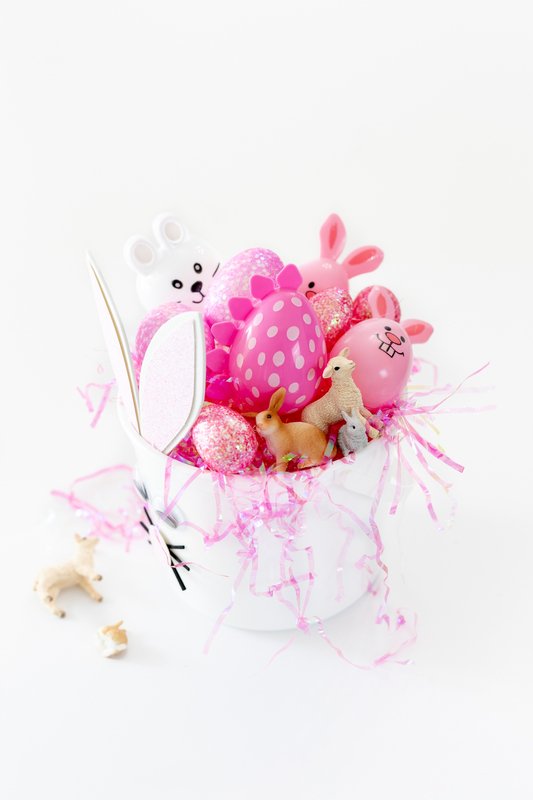 This cute Easter basket was inspired by the selection of figures from Schleich’s Farm World collection. 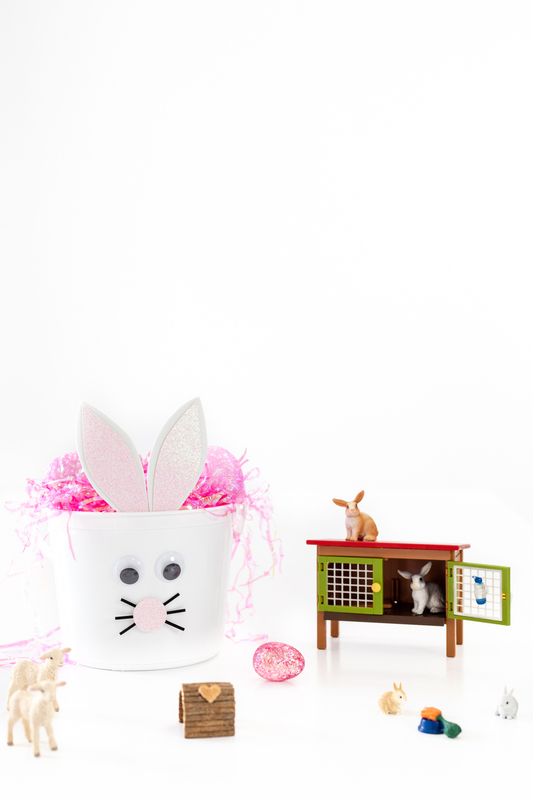 Their Rabbit Hutch is so cute and beyond perfect to add to your bunny basket. The small details make this set extra special. I absolutely adored bunnies as a kid and personally would have gone crazy over this. Their Lamb figures are also so precious and the details that they put into these collectible toys is amazing. Other fun farm figures that are perfect for gifting this season? This Shiba Inuu Mother and Puppy set is really sweet and this Rooster is perfect for starting a farm collection, too. 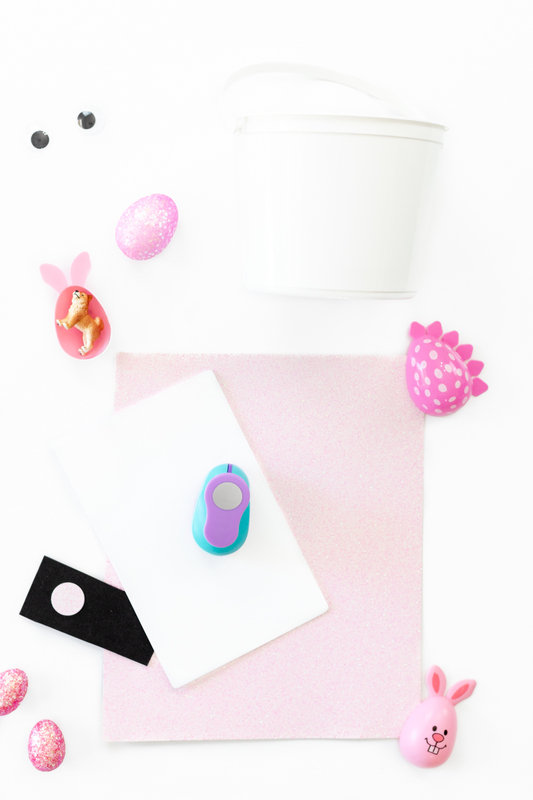 Let’s make a special DIY Easter basket that is just perfect for gifting these sweet non-candy goodies in! 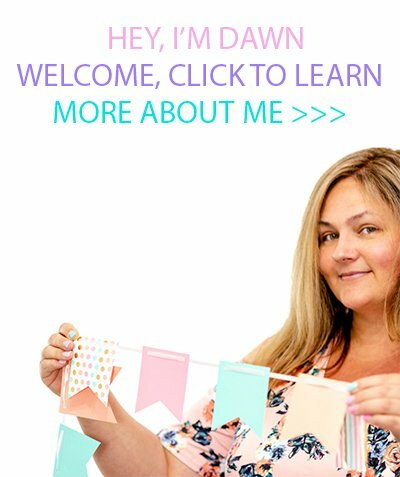 It’s so easy to make, you won’t believe it. Let’s have some fun. STEP ONE: Make the ears. Cut matching bunny ears out of white foam. Cut identical shapes but smaller out of pink foam or glitter sheet. Glue the pink inner ear onto the white ears. Glue the ears onto the inner lining of the basket. STEP TWO: Glue two wiggly eyes onto the front of the bucket. STEP THREE: Use a circle punch or simply cut a circle out of the pink foam or glitter paper for the nose. STEP THREE: Trim three small whiskers out of the black foam. STEP FOUR: Glue the whiskers onto the back of the nose. 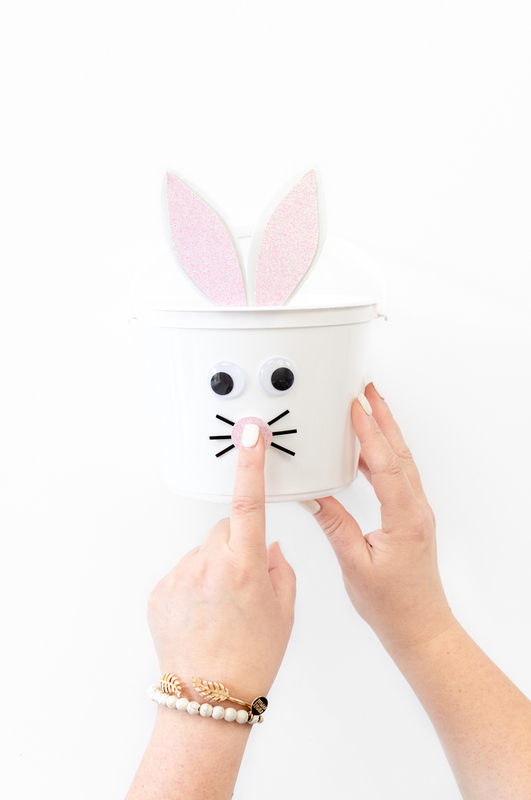 Then, glue the nose with whiskers onto the front of the basket. Voila! It’s that simple. 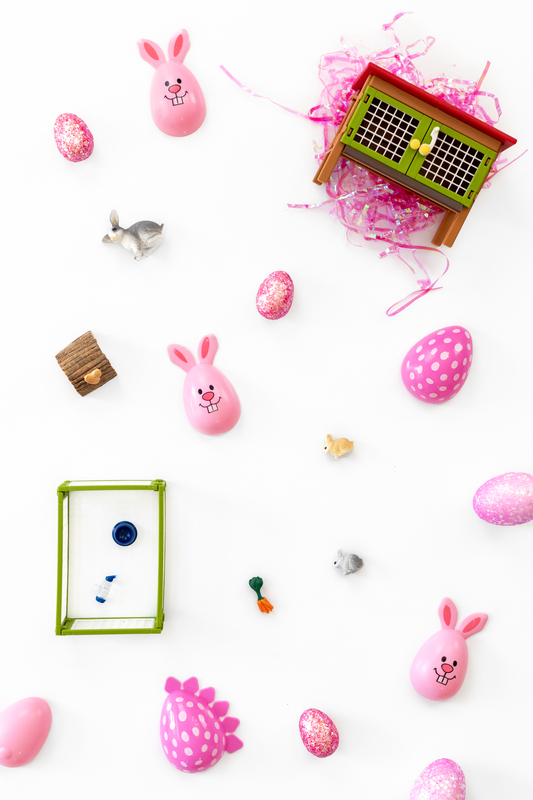 Once your glue is dry and set, your basket is ready for filling with all good things from Schleich! All of the little animal lovers on your Easter list will be extra hoppy… I mean happy this year. 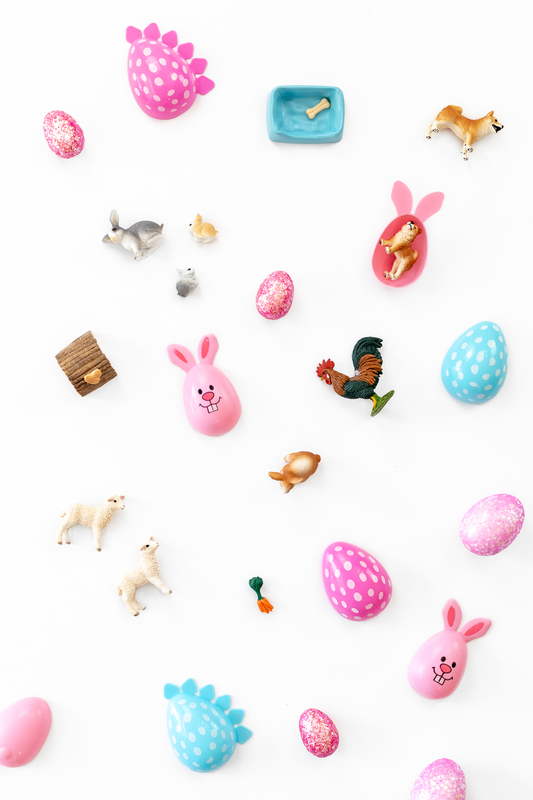 See where to buy adorable Schleich figures and sets here. Their unique toys and figures can be found at 40,000 locations worldwide!